Interested in moving to Hanoi where everything's bigger? Hanoi has a variety of apartments for rent in Ciputra, Tay Ho, Westlake, Hoan Kiem, Ba Dinh, Cau Giay and other district. 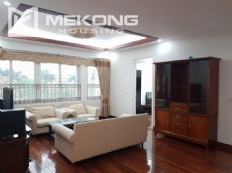 There is a wide variety of Apartments rental in Hanoi that are beautifully character designed with from 1 to 4 bedrooms with furnished / unfurnished status. 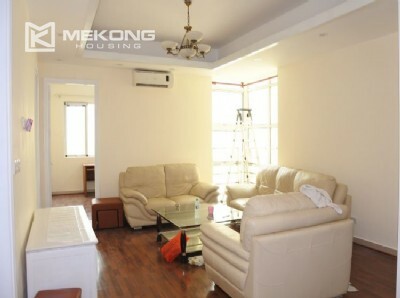 Mekong Housing supplys all housing requirements, residential leasing / buying. We have many experiences about Hanoi Real Estate sector to provide best services for customers. This aparment is well designed with 3 bedrooms, 2 bathrooms, a spacious living room and an open kitchen. it is provided with modern and high quality furniture, all in excellent condition. It is located on middle floor with nice view of Ciputra landscape. 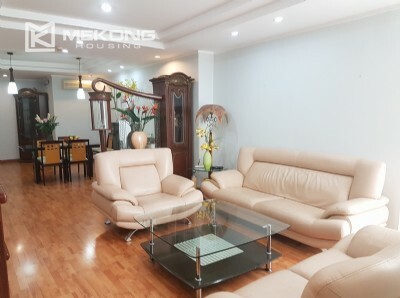 This rental apartment is located on middle floor of E5 tower, Ciputra Hanoi. 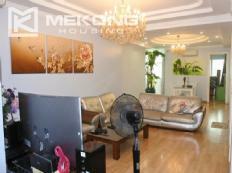 Total living area is 123 sqm, composed of 3 bedrooms, 2 bathrooms, a nice living room and kitchen. Ciputra Hanoi offers residents a great deal of public facilities such as swimming pool, fitness center, golf court, ... The building location is very convenient, walking distance to international schools (UNIS school, Hanoi Academy, Singapore Internation school). This rental apartment has balconies and windows facing south - east. It is cool in summer and warm in winter. The apartment is designed with 3 bedrooms, 2 bathrooms, a nice living room and kitchen. It is provided with full furniture and equipment. Total living area is 123 sqm, composed of 3 bedrooms, 2 bathrooms, a bright living room and a well equipped kitchen. It is fully furnished with furniture and equipment, all in exellent condition. Location is convenient, easy access to airport and city center. It takes 5 minutes to go to international schools and Westlake. This rental apartmetn is located on high floor of the 20 storey building. Total living area is 120 sqm, composed of 4 bedrooms, 2 bathrooms, a living room and an open kitchen. It is fully furnished. G tower is located in convenient location in Ciputra, walking distance to international schools, Westlake, Jafa restaurant, and easy access to city center. Please contact us for more information of apartment for rent in Ciputra Hanoi. This rental apartment has a living area of 153 sqm, designed with 4 bedrooms, 2 bathrooms, a spacious living room and kitchen. The apartment is bright and airy , it is well fit for family with kids. 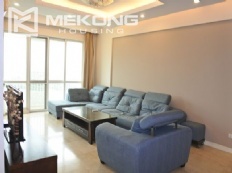 A 153 sqm apartment is located on low floor of E5 tower, Ciputra Hanoi. It is composed of 4 bedrooms, 2 bathrooms, a nice living room and kitchen. The location of the building is very convenient, easy access to Hanoi downtown and Noi Bai airport. Furniture and equipment are in good condition. The apartment is located on high floor in G2 tower, Ciputra Hanoi, walking distance to UNIS school, easy access to other areas in Hanoi. Total living area is 120 sqm, composed of 3 bedrooms, 2 bathrooms, a bright living room and kitchen. It is fully furnished with high quality furniture. 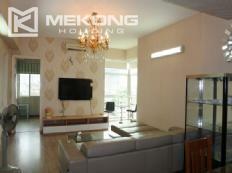 This modern apartment is located on high floor of L building, Ciputra Hanoi. It is composed of 3 bedrooms, 2 bathrooms, a living room, and kitchen. 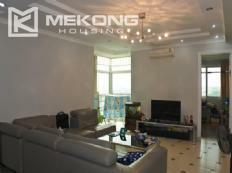 The location provides easy access to airport and other areas in Hanoi city. We would be happy to help you to find your suitable apartment. This is an impressive 182m2 apartment located on high floor of the 20 story building in Ciputra Hanoi. It comprises of 3 bedrooms, 3 bathrooms, a modern kitchen, a spacious living room, and a storage room. Fully equipped and furnished with modern furniture, air conditioners and home appliances, all in excellent condition.